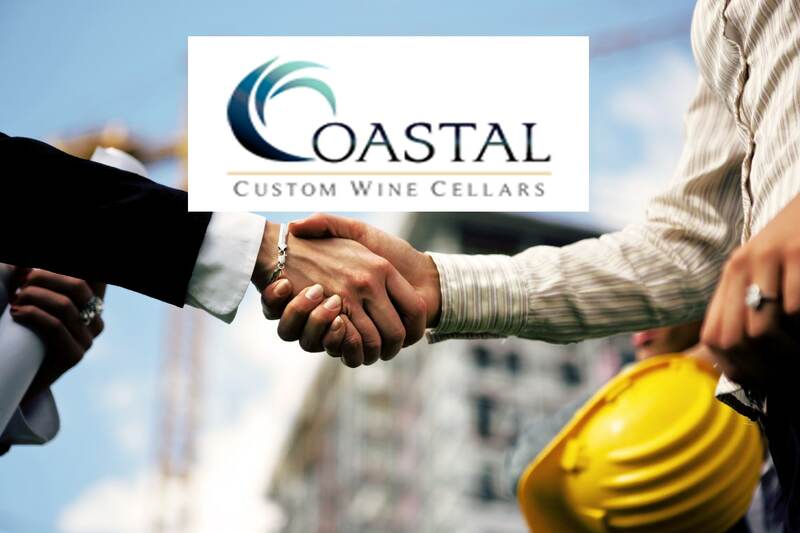 Coastal custom wine cellars is one of the most trusted custom wine cellar designers and builders in Los Angeles, California. There are a lot of things that need to be considered in wine cellar construction. If not properly built, wine cellars will not be able to keep your wines safe. 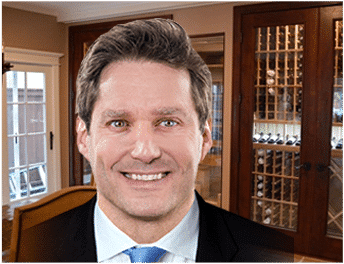 The very first thing to think about when constructing a residential custom wine cellar is where in your house you will have the cellar built. The cellar can be built anywhere in the home, but the location that you choose will have an impact on the cost of maintaining your wine storage room. Ideally, a residential custom wine cellar should be built in the coolest and most humid place in the house. Wines need to be stored in a room where the temperature is around 55 to 58 degrees Fahrenheit, and the humidity is 55 to 75%. If the area you choose to build your cellar has temperature and humidity close to the ideal levels, you will need only a small wine cellar cooling unit, which will save you money both initially, and in the long run. Once you have decided where to have the wine storage room constructed, obtain a permit and follow all local, state and national building codes. For new constructions, studs need to be installed in the space, to frame your custom wine cellar. Begin by sealing the concrete foundations. Then, you need to decide on the insulation you will be using later on. The choices are a 6 mil vapor barrier, or a spray foam. If you decide to use a 6 mil vapor barrier, jump to step number 4 in this article and do that during studding. If you decide to use a spray foam, you can continue with this step as outlined. Then, use either 2×4 or 2×6 construction. Generally, 2×6 construction is best, if you want to increase the insulation and minimize the energy consumption of your wine cellar refrigeration system. At this point, you need to prepare you wine cellar for the wine cellar cooling system that you will install later on. There are basically 3 types of wine cellar cooling units: the Ducted Split Cooling Unit, the Ductless Split Cooling Unit, and the Self-Contained Cooling Unit. If you are planning to have a ducted split system installed, run the ducting and line set. The ducting will be inside the custom wine cellar, and run to the cooling unit (which is generally placed in an adjacent room). The line is run from the unit’s location to the condenser’s location. A drain line and an electric line need to be set up at this time too. If it’s a ductless split system you intend to install, you will need to run the line set at this stage. The line set is run from the location of the unit to the location of the condenser. Also set up a drain line and an electric line at this time. If you plan to install a self-contained cooling unit, you need to prepare your custom wine cellar by making a hole in the wall, adequately sized for the unit you intend to place. You also need to run an electrical outlet near the space. Many self-contained units require a drain line. If the unit you purchase does, you need to pick a location for a condensate drain. When installing insulation and vapor barriers in your wine cellar, you can either use spray foam, or 6 mil vapor barrier and fiberglass batts. Spray foam is more costly, but makes sure that your vapor barrier will be free of puncture marks caused by screws, running wire, plumbing, etc. 6 mil vapor barrier is recommended for new wine cellar constructions. The vapor barrier should be installed on the back side of the wall studs before they are lifted into position. Ceiling joists must also be wrapped properly. When you install the vapor barrier, make sure that that you leave excess at the corners, so that you can wrap it, overlap the seams, and tape them shut. Afterward, fill all the holes in the studs and joists with a fire rated penetration sealant, to make sure the cellar is air tight. Once you have installed the vapor barrier, you must put insulation in the joist and stud cavities. Most wine cellar experts use fiberglass batts as insulation. It is imperative that there are no air-filled cavities left. After installing insulation and a vapor barrier, you need to think about where in the wine cellar to place the electrical outlet. The best place to put an outlet is in the dead spaces at the corners, where the wine racks come together, so that it won’t be obstructed by the wine rack posts. For their high reveal racking lighting, some people choose to have an electrical outlet placed near the area. But this is not necessary. You can have a cord long enough to reach down to the outlet placed in the dead space. If you do decide to have a separate electrical outlet for high reveals and other accent lighting, make sure that you place them on a switch. There are still other things to do when constructing an ideal home wine cellar. These are only steps 1-5 of the 10 steps on how to construct a home custom wine cellar in Los Angeles, California. Learn about steps 6-10 by clicking here.